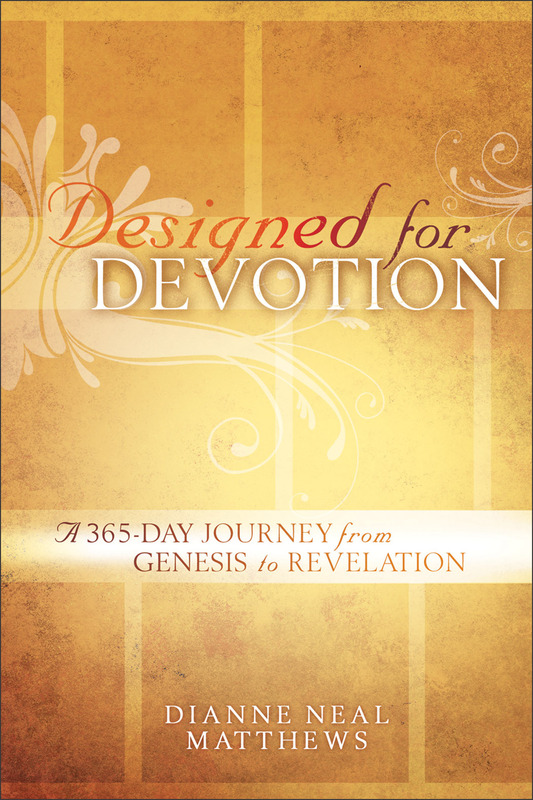 Subtitle: A 365-Day Journey from Genesis to Revelation. Baker Books. Reading through the Bible in one year means a lot of time and effort, right? And you have put on your hip boots to wade through Numbers and Deuteronomy, don't you? Not if you use Designed for Devotion as your guide. Author Dianne Neal Matthews, a Bible teacher and freelance writer, highlights important events, people, and spiritual insights without overwhelming you. She says we are designed to worship, and God has designed the Bible to be our user's manual for life. She designed her devotions to help you know God and his Book. A day's reading might include a couple of chapters or just a few verses along with a devotional/commentary and a verse for the day. Most read-the-Bible-in-a-year plans involve reading every word. The overview approach in Designed for Devotions keeps your study from becoming too predictable or boring. Yet, you still learn the main characters, the background, and the "grand sweep" of the Bible story. Designed for Devotion would be a good resource for someone who has never really studied the Bible or who wants to read it through for the first time. It would make a good gift for teens, college students, or anyone who thinks he or she doesn't have time to read the Bible through in a year. I'll be giving it as a Christmas gift this year myself. Amazon listing for paperback version is here. Kindle version here.